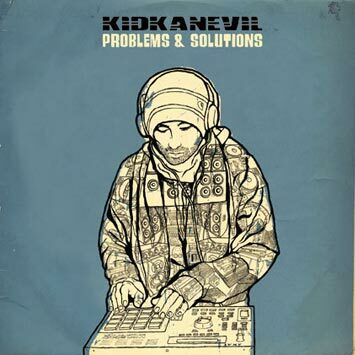 First Word Records are proud to present the debut album from one of the UK’s most talented new producers, kidkanevil. After the success of debut single Kranium Rock and last year’s party-rocking FIRE 12”, Problems & Solutions is the natural progression for beanie-hatted beat-maker. Featuring guest appearances from some of the world’s most talented vocalists, including Lateef (DJ Shadow), Andreya Triana (Flying Lotus), Yarah Bravo (One Self), Chris James (Stateless), Double D Dagger & Jehst (Lowlife) kidkanevil has created a rare thing – a proper album (available on vinyl!) that flows from start to finish.